For readers who are unfamiliar with – and maybe curious about – the concept of ESG (Environmental, Social, and Governance) investing, look no further. 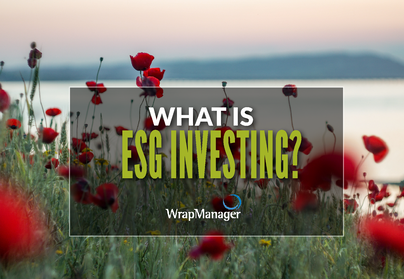 In this post, we’ll answer basic questions about what ESG investing is, how it came about, the pros and cons, and why it may or may not be right for you. For some people, it is important to invest in companies that embody certain values or meet certain criteria, such as limiting environmental impact or having high health and safety standards. This demand for socially conscious investment options led to the creation of ESG standards that investors can use to screen companies. Environmental criteria look at how a company performs as a steward of the natural environment. Social criteria examine how a company manages its relationships with employees, suppliers, customers, and the communities where it operates. Governance deals with a company’s leadership, executive pay, audits, internal controls, and shareholder rights. How Did ESG Investing Come About? Investors have long sought to align their investment portfolio with their values, and ESG investing emerged as a solution to meet the demand. In its nascent stages, ESG investing often consisted of mutual funds and/or ETFs simply eliminating tobacco and oil companies, for example, or investing solely in some form of renewable energy. But eventually, MSCI created a proprietary ESG rating methodology, which provides investors with ESG ratings on publicly traded companies. The methodology looks at a wide range of issues under the ESG umbrella, including board make-up, business ethics, product safety, health and safety standards, privacy rules, emissions, energy efficiency, biodiversity and land use. MSCI then gives each company an overall ESG score ranging from “AAA” (the highest ESG rating) to “CCC” (the lowest ESG rating). Many managers of ETFs and mutual funds use these ESG ratings to construct socially conscious strategies. What are the Pros and Cons of ESG Investing? For socially conscious investors, the pros are obvious – you have the ability to invest in companies you can feel good about, that align with values that are important to you, and that have the potential to grow and deliver returns to your portfolio. Oftentimes, companies that have high ESG scores are also ones the forefront of innovation, which generally speaking could be attractive companies to own. The cons of ESG investing generally revolve around limited options and the lack of diversification. Many ESG-focused mutual funds and ETFs, for example, focus exclusively on domestic large-cap stocks. In that case, the investor may be left with little or no exposure to small-cap, mid-cap, and non-US companies. Another downside is that some ESG mutual funds, ETFs, and do-it-yourself investors develop strategies that simply exclude select industries such as oil and tobacco, which may ultimately allow non-ESG friendly companies into the portfolio. On the opposite end of the spectrum, a strategy may focus on a singular industry, like solar power, which arguably increases risk via lack of diversification. For most investors, this is a relatively easy question to answer once you understand what ESG investing is. If it is of paramount importance that you only invest in companies that meet certain environment, social, and governance criteria, then it makes sense to explore options within the ESG space. At the end of the day, however, socially responsible investing is qualitative and subjective by nature, and there is no guarantee that the criteria utilized will reflect the beliefs or values of any one particular investor. That’s why it is important to find an advisor or manager who you can have thorough and candid conversations with, to understand your needs and passions. Does WrapManager Offer Any ESG Solutions? Yes. The WrapManager Strategically Aligned Investments Rooted in Social and Humanitarian Advancement (SAIRSHA) Global All Cap ESG portfolio seeks to offer a solution to the traditional pitfalls of investing in socially responsible portfolios. The SAIRSHA Global All Cap ESG portfolio is a reflection of one of the core principles of investing: it is broadly diversified with exposure to small cap, mid cap, non-US developed market companies, and emerging markets companies. The portfolio uses asset class specific ETFs to gain exposure to each of these asset classes. The SAIRSHA portfolio also integrates multiple ESG methodologies into one portfolio. Some of the ETF investments in the portfolio offer exclusionary screenings which filter out companies in unfriendly businesses such as fossil fuels, tobacco, and weapons. Other ETF investments in the portfolio offer positive screening where companies with the strongest ESG ratings are included in the portfolio. Lastly, there are industry specific ETFs in the portfolio which cover clean energy such as solar and wind energy, though these niche industry ETFs only make up a small percentage of the portfolio – given the potential for volatile returns for those industries. ESG is an exciting and new(ish) frontier in investing, and there is a lot to learn. Reach out to us today to get more information and learn how you can participate and potentially invest. Start a conversation over email at wealth@wrapmanager.com or give us a call at 1-800-541-7774.